The stunning Premier Ultra Lite travel trailer might be light in weight, but it is full in features. 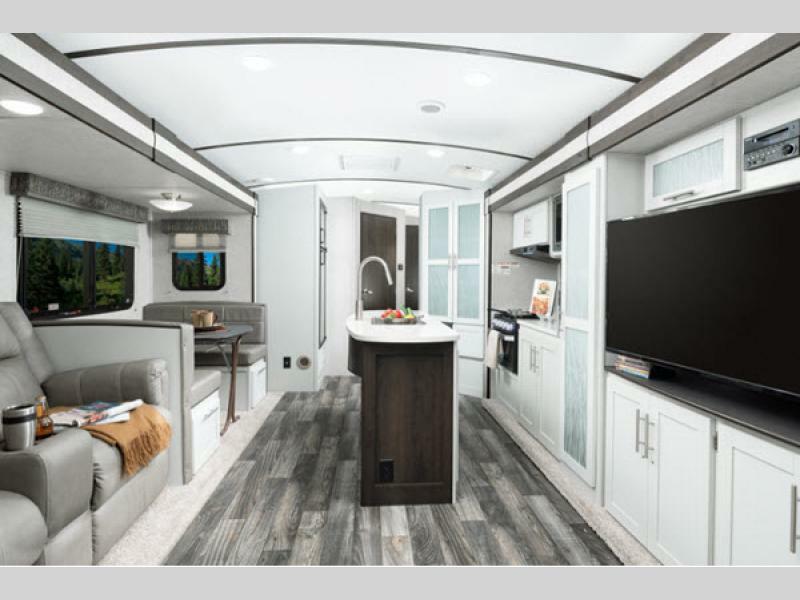 It’s designed to provide families like your the space, comfort, and accommodations needed to truly enjoy your time on the road. 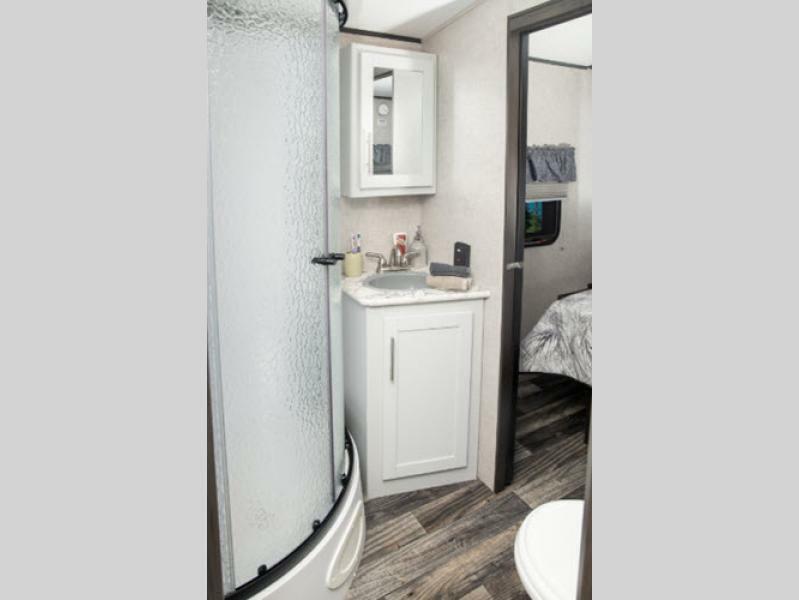 From a spacious bathroom to large kitchen, you’ll have everything you need in this RV to hit the road and make memories with your family. Learn more in our 2019 Premier Ultra Lite Travel Trailer review. The Premier Ultra Lite bathroom offers space and comfort. no more bothering with using public restrooms. When you’re traveling with the family and everyone is sharing a bathroom it’s important that there is enough space for everyone’s stuff. That’s one great thing about this bathroom. It’s chock full of impressive storage solutions and has a huge shower that won’t leave you feeling cramped like other units. The Premier Ultra Lite living room boasts a gorgeous entertainment center and is centrally located for the entire family to congregate in. A large living room with space for the entire family means family movie and game nights can happen without everyone stepping on toes. Comfortable seating, a great entertainment system, and storage for all of your creature comfort items means this space will feel like home from the moment you step in it. From the island to the appliances, there’s something for everyone in this space. Whether you’re whipping up a quick breakfast or making a meal fit for a king, the great thing about every Premier Ultra Lite floorplan is that it comes with a fabulous kitchen. You’ll enjoy every minute spent in here. 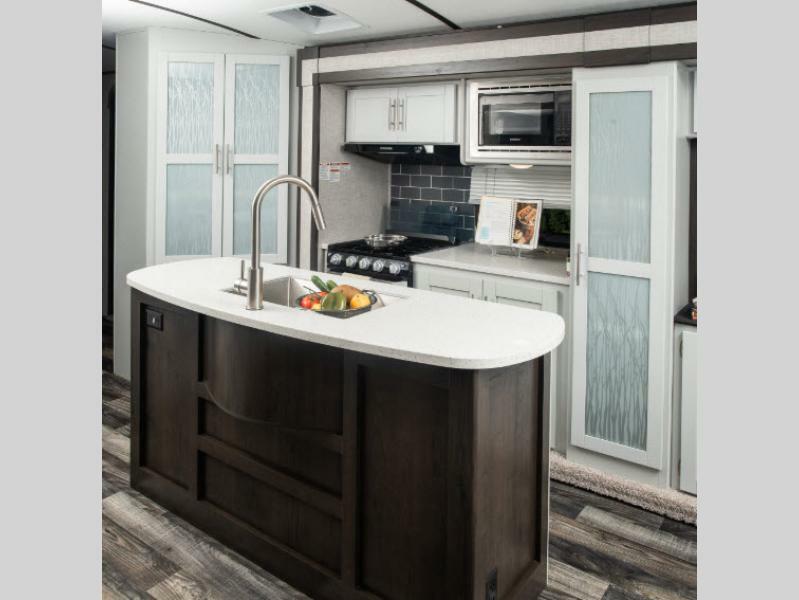 From the gorgeous appliances to intelligent layouts that maximize your space, there is much to love about this part of the RV. If you’re interested in learning more about our selection of Premier Ultra Lite travel trailers for sale, contact us. We can answer any questions you have and make sure you’ve got the information needed to make the best decision for your needs. We can also assist with RV financing and give you tips for planning your first vacation in your new RV.